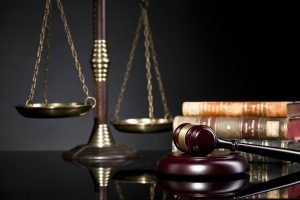 This is the second post in my series on defending against false accusations of domestic violence in Las Vegas, Nevada child custody cases. My last post provided an overview of the topics that this series will address. I also stressed the importance of contacting an attorney if you have been accused of domestic violence. A family law lawyer can help you appropriately defend yourself against false accusations. In this article I will discuss why such allegations are common in child custody proceedings. Contact my office today if you require assistance with this matter. One of the reasons for which false allegations are made is so that one parent can negate the aforementioned presumption of joint custody and gain leverage during a custody battle. Therefore, it is common for a parent to utilize this strategy and make false claims because he or she is aware that the Court will take any allegation of abuse quite seriously. If the Court finds that any of the allegations have credence, then it is likely that a custody determination will favor the accusing parent. Domestic violence is a serious offense that can have disastrous consequences, both criminally and civilly. This is why it is crucial that you contact a lawyer as soon as you become aware of any false claims against you. An experienced family law attorney will assist you in defending yourself against these allegations and ensure that your rights remain protected. Contact my Las Vegas office today to schedule an initial consultation.